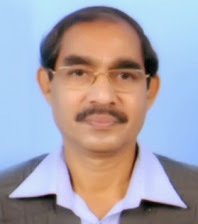 Dr. Harekrishna Meher: Places where Dr.Harekrishna Meher and His Works are Cited, Referred, Discussed and Reviewed. Places where Dr.Harekrishna Meher and His Works are Cited, Referred, Discussed and Reviewed. (Subham Bhavatu Nava Varsham) from Matrigitikanjalih-Kavya. Published in : “SANGEET”, December 1999, Page 13-20. By : Sangeet Karyalaya, Hathras, Uttar Pradesh. 2. Oriya Review on Sanskrit Kavya “Matrigitikanjalih” Kavya. Published in : “BARTIKA”, April-June 1999, Page 501-508. By : Saraswat Sahitya Sanskrutika Parishad, Dasharathpur, Jajpur, Orissa. 3. Sanskrit Review on “Matrigitikanjalih” Kavya. Published in : “ARANYAKAM”, September 1999 , Page 29-30. Published in : “DRIK”, Vol. V, Jan-June 2001, Page 112-113. By : Drig-Bharati, Yojana – 3, Jhusi, Allahabad. Published by : Vani Akademi, Chandkheda, Gujarat, 2008. Sagar University, Sagar, Madhya Pradesh. Dr. C. V. Raman University, Bilaspur, Chattisgarh. An Observation” By Prof. Dr. Abhiraja Rajendra Mishra, Shimla. (Later on Published in ‘Sraddha’ Sanskrit Journal, Volume-II, 2011, pp. 51-60. Sanskrit Journal (ISSN 2321-273X), Volume-III-IV, 2012-2013, pp. 94-112. PG Department of Sanskrit, Gangadhar Meher Autonomous College, Sambalpur. held on 30-31 March 2007 in Dehradun, India. Oct. 2002, Page 27and 42, Published by : Devavani Parishad, Delhi. By : Dr. Sweta Prajapati in “Drik”, Vol-9, Jan-June 2003, page -80. Published by : Drig Bharati, Yojana-3, Jhusi, Allahabad, Uttar Pradesh. In “Bartika” Literary Quarterly, Jan-Mar 2004. Published by: Saraswat Sahitya Sanskrita Parishad, Jajpur, Orissa. SADHANA” (Page 35) included in “Nuapada Darpana”, Maraguda Sepcial 1999. Published by : District Council of Culture, Nuapada, Orissa. Friends Publishers, Binod Bihari Cuttack-2., 1st Edition ,1996.
pp.102-103. Published by : Drig Bharati, Yojana-3, Jhusi, Allahabad, U.P. By : Prof. Dr. A.M. Prajapati, Published in 2005.
in “DRIK”, Vol.-14, Dec.2005 – Jan. 2006, page 45. By Dr. Raghunath Panda, Published by Abhijeet Publications, Delhi-110094. Edited Book Published by : Rashtriya Sanskrit Sansthan, New Delhi. By Dr. Prafulla Kumar Mishra, pages 283-313). Sanskrit Literature, has been referred in pages 304, 305 and 307. 2008), Published by Drig-Bharati, Yojana-3, Jhusi, Allahabad, Uttar Pradesh. Area, Bhubaneswar, First Edition - 2010. Dashahara Special Issue, October- December 2012, Dasarathapur, Jajpur, Orissa. Dashahara Special Issue, October-December 2012, Dasarathapur, Jajpur, Orissa. and 2013 Edition, pages 56-58). Dr Harekrishna Meher with photos and biographical features has been discussed, cited and quoted as a reputed poet, translator and literary genius in Hindi-English-Sanskrit-Odia-Kosali languages, also as a lyricist, tuning composer and writer of various value-based articles and books elated to socio-cultural harmony, patriotism, national integration, philanthropic attitude, Indian cultural significance and like matters, especially in Modern Sanskrit Literature. of Deven M. Patel (Columbia University Press, New York, 2014). (On Biography and Literary Contributions to Sanskrit). Prajatantra Prachar Samiti, Cuttack, Orissa. “RITUMBHARA”, Vol.- II, 1996, Pages 149-158. Pracheta Sahitya O Sanskruti Parishad, Uttarkulahat, Jajpur, Orissa. Published by : Delhi Sanskrit Akademi, Delhi, 2000. (a) “Who’s Who of Indian Writers” 1999, page-740. (b) “Reference Asia” (Vol.- 9), 1995, page-185. Rifacimento International, Kashmere, Gate, Delhi-6. (c) “Biography Today” (Vol. I), 2000 Edition, page- 457. Biography Today, Tulsidas Street, Daryaganj, New Delhi-2. And in other leading International Biographical Volumes. Published in : Drik, Volume - 17, Jan.- June 2007, pp. 129 - 131. Drig-Bharati, Jhusi, Allahabad, Uttar Pradesh.